Santana at the plate on Thursday at Santee Sportsplex. 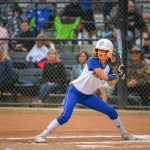 Santana records an out at the plate against Brawley in a SDCIF Division II elimination semifinal game on Thursday night in Santee. 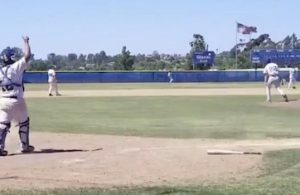 The Santana Sultans won their first game of the day in dramatic fashion as Lakaila Aquiningoc-David roped an RBI double with two outs. Santana would strike first in the bottom of the second inning on a double by Natalie Sims (1-3, 2B, 2 RBI) that would score both Shelby Holmquist and Marilyn Downing (2-2, R) to make it 2-0. However, the Golden Eagles would rally to tie the game in the top of the seventh inning with two outs on a Raquel Moore two-run double to make it 2-2. 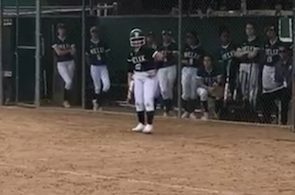 Mackenzie Bennett went 2 for 3 with a double, Madison Mendez went 2 for 4, and krysten Service doubled. For the Golden Eagles, Moore went 6.2 innings giving up 3 runs on 12 hits while walking 4 and striking out 1 in the loss. 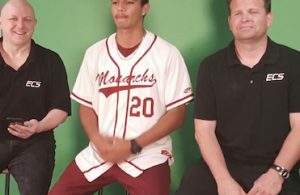 On the other side for the Sultans, Mendez tossed a complete game 7 inning victory giving up 2 runs on 7 hits while walking 4 and striking out 3. 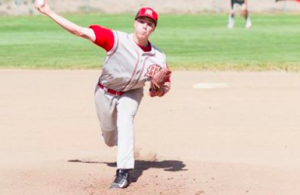 For the third time this season the Brawley Wildcats came out on top over the Santana Sultans as they used a big six run fourth to procure the victory. 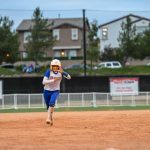 A two-run triple by Brianna Hoffman scored both Jalyn Ayala and Lilianna Martinez to make it 2-0. 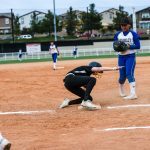 Unfortunately, the wheels kind of fell off for the Sultans in the bottom of the fourth inning as the Wildcats sent eleven batters to the plate. 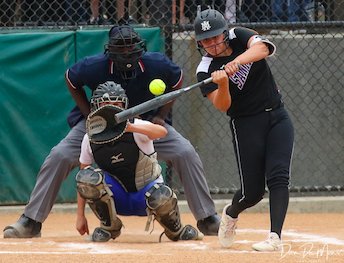 One of the big hits in the inning by the Wildcats was a double by Savannah Contreras to make it 5-0. 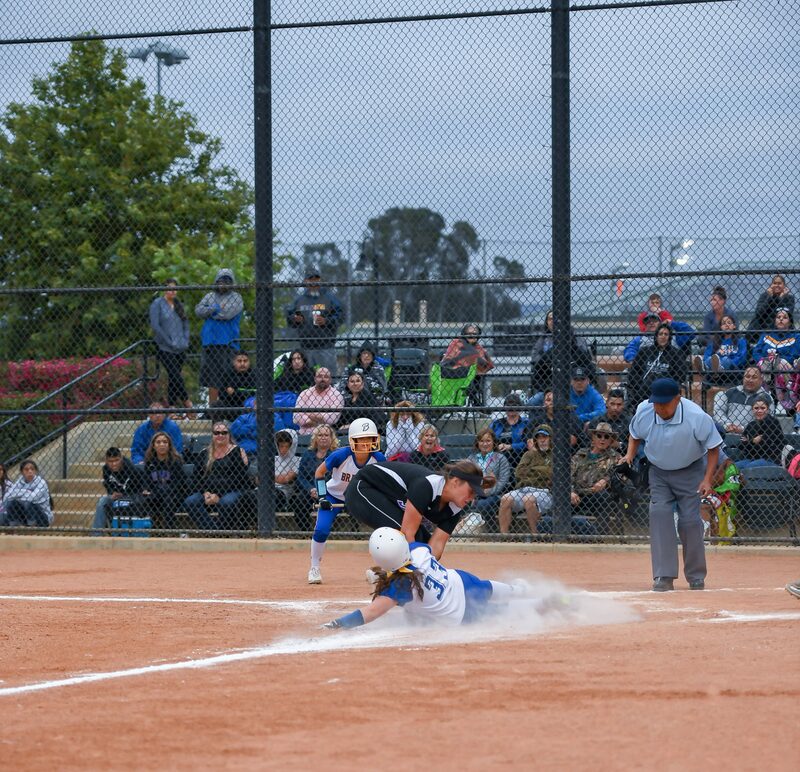 Ayala would drive in Haylee Garcia which made it 6-0, a couple batters later Brawley would add another run to round out their scoring. 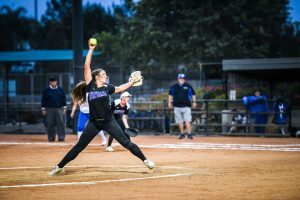 The Sultans tried to put something together in the top of the fifth inning when with one out Shelby Holmquist singled and Emma Leggett walked. However, both wouldn’t advance any further. 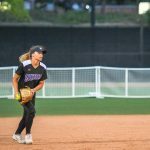 Santana would finally get on the board for their lone run of the game in the top of the sixth inning when Madison Mendez crushed the offering over the center field fence for her thirteenth jack of the season. Garnering the victory for the Wildcats, Martinez who went all 7 innings giving up 1 run on 3 hits while walking 3 and striking out 2. On the other side for the Sultans Mendez took the loss as she went 3.1 innings giving up 7 runs on 8 hits. Coming into toss 2.2 innings of relief Joey Barkhimer who gave up 1 run on 4 hits while walking 1 and striking out 1. With the win, the Brawley Wildcats will take on the Olympian Eagles for the Division II crown. 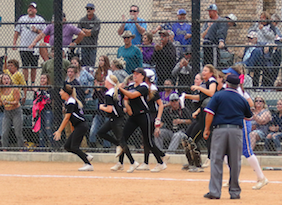 The Eagles will be making their second appearance in the last three years as they won the Division III title in 2015 when they defeated Vista 3-1.
NOTABLE NOTES: With her thirteenth home run on the season, Madison Mendez broke the Santana Sultans school record of 12 which was held by Amber Schisler in 2012 and Kayti Grable in 2010. 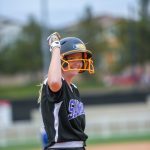 She also tied the Grossmont Conference All-Time mark which was set by Valhalla’s Carlee Wallace in 2014.